When ice or snow is predicted, Shropshire Council pre-salts priority roads. This is around 28% of the total road network in Shropshire. 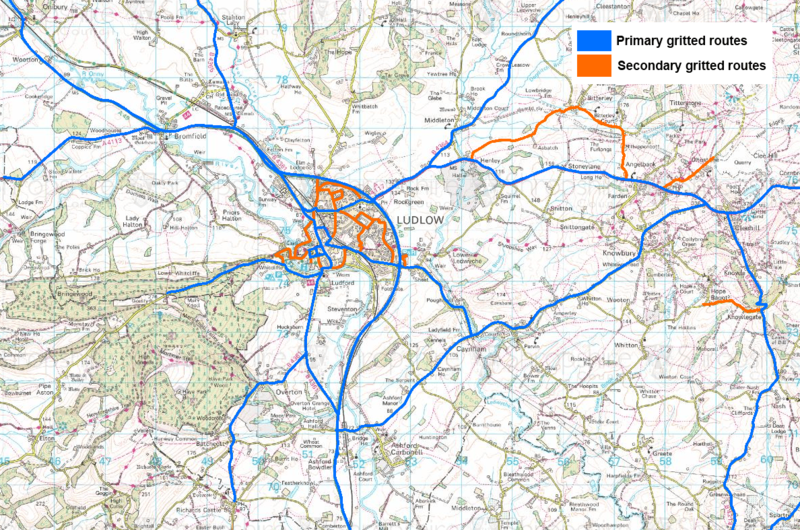 It includes all A and B roads, and localised high-risk sites and important access routes. Map of roads gritted in Shropshire. Gritting in Telford & Wrekin.